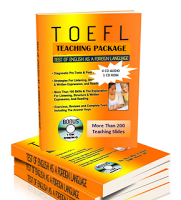 TOEFL Practice Test 3 is a complete TOEFL Practice Test. To download TOEFL Practice Test 3, Click below. Download Audio CD, Click Here. where is the answer key?? This is difficult to understand how to paraphrase an essay when you have lots of work. This is not an easy way to write so online services are best for you.